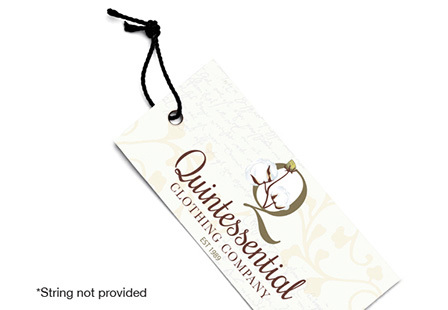 Printing custom hang tags are a great way to highlight a business or product. You can include a tagline, business logo, website, contact information, social media, and other vital details. Glossy UV hang tags offer a coating (on the front only) which helps protect them and enables the colors to pop off from the design. They have many uses including jewelry tags, gift baskets, clothing and so much more. Choose from a variety of dimensions and printing options to fit your marketing or creative needs.